Bagshaws Residential Auctions is a well-established auction house based here in the Midlands, offering unrivalled coverage with its links to over one hundred offices within the Connells and Sequence group of companies, who trade under many well-known names such as Bagshaws Residential, Ashley Adams, Brown & Merry, Burchell Edwards, Connells, Paul Dubberley, Shipways and of course William H Brown. 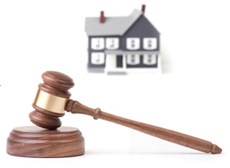 Auction is the fastest and most reliable to sell any type of property and avoid the pitfalls that Estate Agents encounter. It deals with survey problems, legal complications and the dreaded chains and provides both the purchaser and the vendor security and fixed completion dates, as on the fall of the hammer an exchange occurs and a 10% deposit is taken. Rest assured, the Midlands Auction Centre deliver a first class service and have sold hundreds of properties of all styles throughout its many years of trading. If you have any of the following: Inherited property, unusual, structural, short lease, legal problems, land with or without planning, commercial, or your just don't want the hassle, stress and inconvenience of selling through an Estate Agent, we are here to help you. Contact our friendly team for free advice on both selling and buying. Bagshaws Residential is a trading name of Sequence (UK) Limited which is registered in England and Wales under company number 4268443, Registered Office is Cumbria House, 16-20 Hockliffe Street, Leighton Buzzard, Bedfordshire, LU7 1GN. VAT Registration Number is 500 2481 05. For the activities of advising on regulated mortgages and non-investment insurance contracts, Sequence (UK) Limited is an appointed representative of Connells Limited which is authorised and regulated by the Financial Conduct Authority. Connells Limited's Financial Services Register number is 302221.